BECAUSE YOU DEMANDED IT! Following the blockbuster finale of Darth Vader #25, the fan-favorite character begins a new journey in STAR WARS: DOCTOR APHRA #1 – the new ongoing series coming this December! From superstar writer Kieron Gillen (Darth Vader) and fan-favorite artist Kev Walker (Marvel Zombies) comes Marvel’s first ongoing series starring an original character created in the comics! 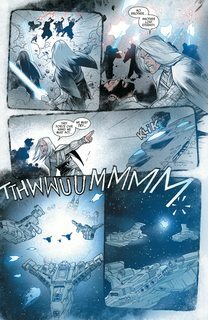 Following her time in the clutches of Darth Vader, Doctor Aphra has barely escaped with her life. If he ever learns of her survival, he’ll hunt her to the ends of the galaxy. But for now, it’s time for a return to what she does best. With the droids 0-0-0 and BT-1 in tow, she’s off in search of rare artifacts from the galactic center to the Outer Rim and everywhere in between. 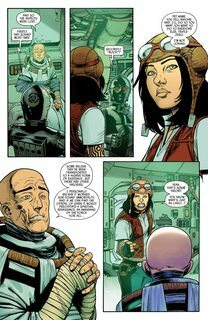 Aphra’s got debts to pay after all. 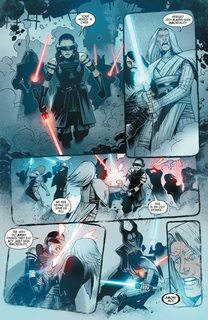 Just as long as she can stay one step ahead of the Empire, some Bounty Hunters and just about everyone else in the galaxy!